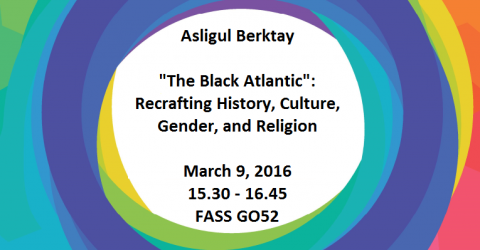 Asligul Berktay graduated from Mount Holyoke College after double majoring in Critical Social Thought and Spanish with a minor in African Studies. She later pursued an MA in History at Central European University, Budapest. She received her MA/PhD from the Stone Center for Latin American Studies at Tulane University where she focused her research on the Atlantic slave trade, and on slavery and post-slavery societies from a comparative perspective, while she also worked on other facets of African Diaspora studies, such as race and race relations, social change, youth movements, and agency through popular culture, particularly in West Africa, the Caribbean and Brazil. Her dissertation analyzed the wills left behind by African-born ex-slaves in nineteenth-century Salvador, Brazil and how these documents shed light on the lives that they led in the Bahian capital upon their arrival as slaves from Africa, as well as upon the re-acquisition of their freedom. Primarily a historian, she is a firm believer in interdisciplinary studies, and has also taught and published in sociology, literature, cultural studies, anthropology, political and critical theory, music and performance studies.